The Jacobs family traveled to the Salt Lake Valley in the Brigham Young Company in 1848. The Jacobs family consisted of Henry and Zina Diantha Huntington, their sons Zebulon, and Henry Chariton, and Henry’s second wife Aseneth Babcock. 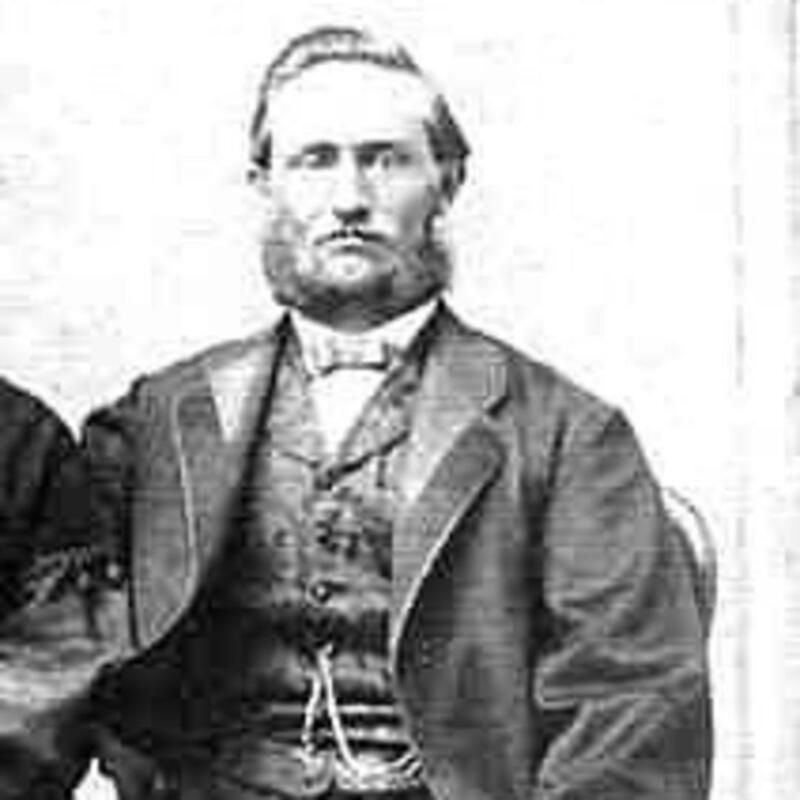 Zebulon traveled across the plains several times as an out-and-back teamster: In 1861, he traveled with the Joseph W. Young/Ansil P. Harmon/Heber P. Kimball Company. In 1862, he traveled with the Ansil P. Harmon Company. In 1864, he traveled with the Joseph W. Young Company. Then, in 1868, at the end of a mission to Europe, Zebulon traveled home with the Joseph S. Rawlins Company. He was the Clerk of the company. "Elders Arrived," Deseret Evening News, 20 Aug. 1868, 3. Jacobs, Zebulon, "Correspondence," Deseret Evening News , 19 Aug. 1868, 3. Jacobs, Zebulon, [Journal], in "Church Emigration Book." Jacobs, Zebulon, [Letter], in Journal History of The Church of Jesus Christ of Latter-day Saints, 15 Aug. 1868, 3. Jacobs, Zebulon, Journal, in Journal History of The Church of Jesus Christ of Latter-day Saints, 23 Sept. 1861, 2-11. Jacobs, Zebulon, Reminiscences and diaries, 1861-1877, fd 1, 5-6. Jacobs, Zebulon, Reminiscences and diaries, 1861-1877, fd. 3, vol. 4. Jacobs, Zebulon, to Brigham Young, 15 Aug. 1868, in Brigham Young, Office Files 1832-1878, reel 44, box 32, fd. 16. Journal History of The Church of Jesus Christ of Latter-day Saints, 5 October 1864, 2. "Zebulon Jacobs Passes Away," Deseret Evening News , 22 Sep. 1914, 7.